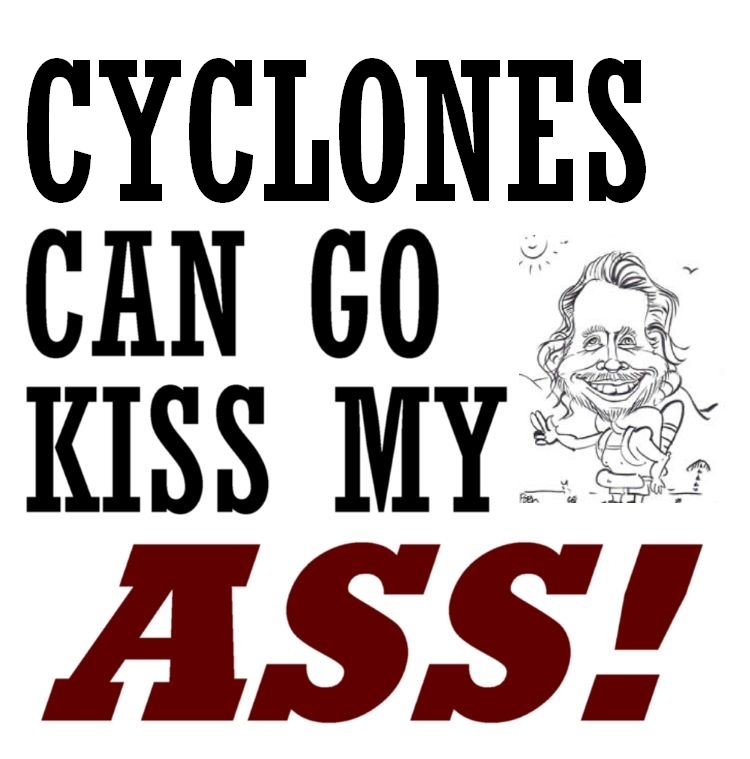 … but our fellow Queenslanders in the small towns of the nearby Cassowary Coast copped a battering. Our thoughts go out to those in and around Cardwell, Tully, Mission Beach and Innisfail. The immense task these people have in front of them is something that most of us could not imagine. 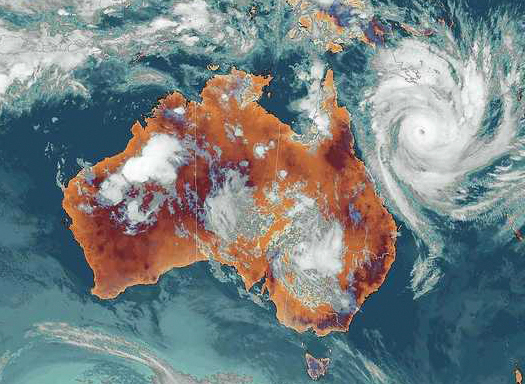 To put the sheer size of this cyclone into perspective, remember that Australia is roughly the same size as the mainland United States. Now imagine this great monster - in the map to the right - bearing down on the northeastern states of America… how many states would it completely engulf? 18? 20? 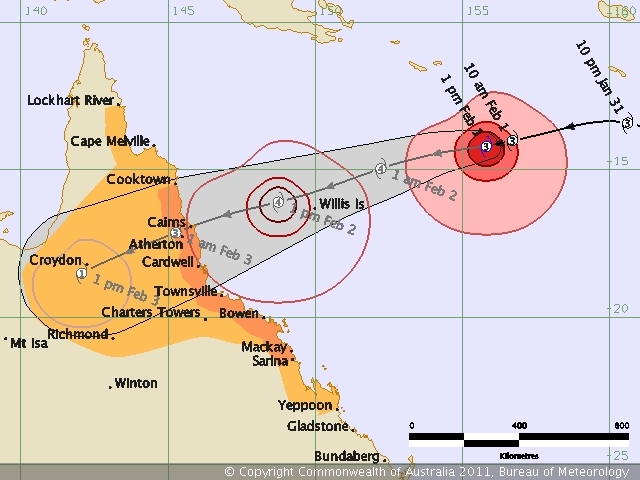 And it continued to reek havoc as a cyclone until it was almost 2000km inland in the centre of the continent! There are trees down around town, and some minor damage to buildings. Here at home, we had one small tree snapped off at the trunk (I never liked that tree anyway!) and we lost electricity for about 18 hours. Many of our friends are still without electricity, but for Maria and Nicholas and I, life has returned to normal…. This entry was posted on Saturday, February 5th, 2011 at 12:30 pm	and is filed under Uncategorized. You can follow any responses to this entry through the RSS 2.0 feed. You can leave a response, or trackback from your own site. Just stumbled across your blog and am so happy to see such a quality and local product!!! Life is always busy with kids, but at least we are doing it in paradise. We are also local to Cairns and trying to produce a unique voice to blogging with a focus on what is fun but also educational from a kids and parents point of view. When you have a chance, please drop past our blog and leave a comment! Yes that Farmers market is only up the road from my work, love going there… soo convenient and the range is Awesome, beats waiting for Rusty’s markets when I can have fresh fruit and vege everyday of the week…….